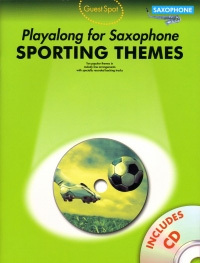 Guest Spot Sporting Themes, playalong for Saxophone. 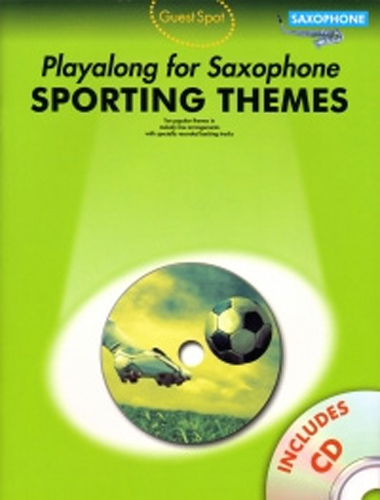 Ten popular themes in melody line arrangements with specially recorded backing tracks. Step into the spotlight and play along to - Grandstand; Light and Tuneful - Wimbledon; Match of the Day; A Musical Joke - Horse of the Year; Out of the Blue - Sports Report; Pop Looks Bach - Ski Sunday; A Question of Sport; Soul Limbo - Test Match Special; World in Union - World Cup Rugby; World of Sport.